Mr. Hallorann. What is in Room 237? A two colour screenprint on dark brown A3 card. 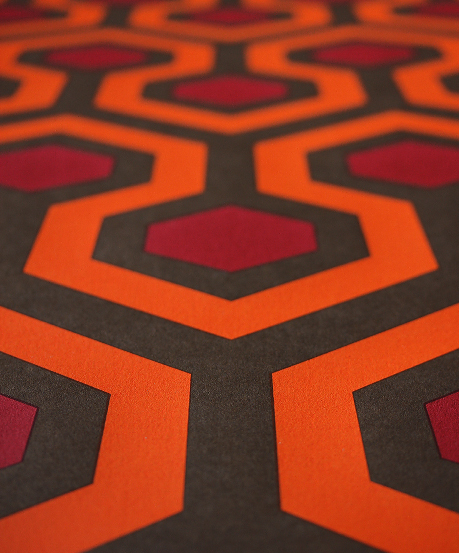 A homage to The Shining, based upon the iconic carpet design in the fictional Overlook Hotel. Click on the image for more information.